Professional Results in the Home! The Ultimate in Power, Performance & Portability. 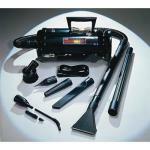 A perfect description of the Professional Evolution Compact Canister Vac. A new generation of beautiful powerful cleaning systems. A powerhouse for tackling tough jobs with ease. Nothing beats Professional Evolution Compact Canister Vac for getting out imbedded dirt. All Steel construction; Satin Nickel / Black Finish. A 4.0 Peak HP twin fan motor, 2 speed, mini canister with HEPA Filter. 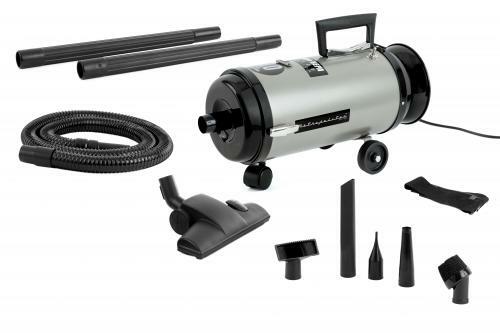 The Professional Evolution Compact Canister Vac's suction is far superior to most ordinary vacuum cleaners and its reversible, 200 mph air blower sweeps up garages, workshops, walkways, and inflates inflatables too. When it comes to results even much more expensive upright models can take a back seat to Professional Evolution Compact Canister Vac. 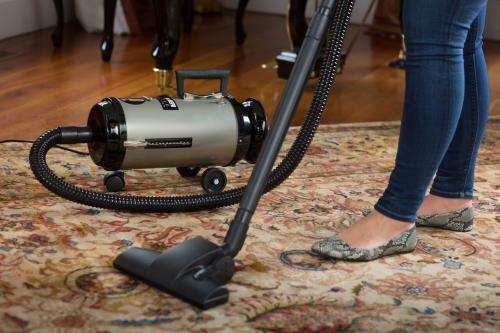 The combination rug and floor tool, goes from carpet to bare floors with a touch of a switch, to clean everything from carpets and floors to walls and ceilings. 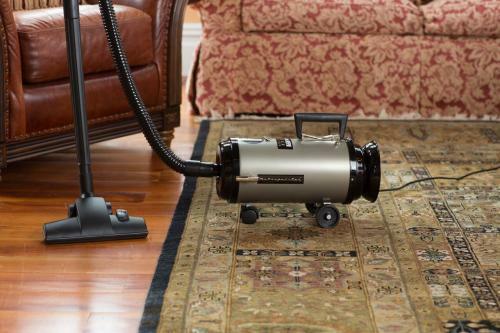 This all steel heavy duty Vac weighs a surprising 9 lbs so its light enough to be carried over the shoulder or it can be rolled along on its smooth gliding wheels and swivel caster. Some models come with the Turbo Driven Carpet Brush which is great for removing pet hair from low pile carpets, area rugs, etc. The tool simulates going over the same spot multiple times, yet you only need to make a pass or two to get carpets completely clean. Long Life! 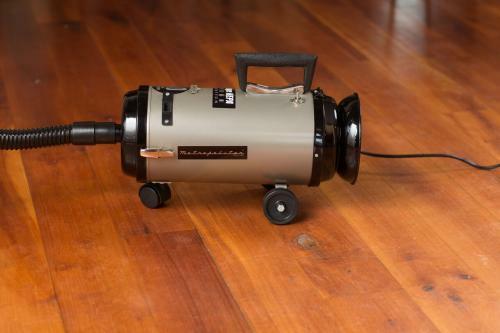 Possibly the last home cleaning system you will ever have to purchase. "The lady that helped me was very nice and I would order from your company again."